For a dapp to lunch in a short period and now, is currently occupying number 6 in the state of the dapps list is something that marvels me. I never for once expected this dapp to get to such height within a short period. With what it has achieved in such short period, this should tell you that this dapp is something else. Partiko went further to beating old dapps like #Esteem, #Busy.org and other decentralized dapp out there. Partiko dominance is something I just can't explain, but this is great for any blockchain. Partiko is a blessing to the steem blockchain, and we for sure needs more of this in the steem ecosystem. With such high level of dominance, it has shown that the team in charge are really putting in a lot of time and effort. They surely want to let the world knows that they are set for this. This team came on board and makes blogging so simple with their much improved #esteem version. One thing that really makes me fall in love with dapp is the privacy it produces. A lot wants a secured and decentralised life. It is with this that the birth of #Partiko app came on board. If you are familiar with #Esteem app which was built by @Good-Karma, then Partiko should not be strange to you. Partiko is a decentralised social blogging platform that was built by Sidhi on top of the steem blockchain. This decentralised blogging allows you to directly monetize your content and earn cryptocurrency. 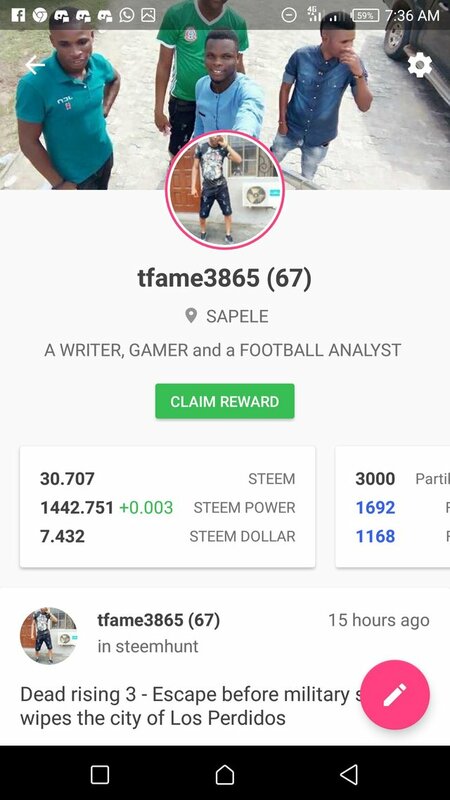 Since is built on top of steem blockchain, the reward from it is either #steem or steem dollar. As an AirBNB programmer who has gotten so much experience, Sidhi ensures that the dapp is written in native Android and iOS programming languages. This is the main reason that Partiko is so fast in terms of speed. With what was listed above, we can purely see that Partiko outclass some dapps out there. Now permit me to explain how some of those features operate. i. Free service: When you post through Partiko app, they don't take from your authors reward as their service charges. A lot of steem dapps use this to cover their cost but #Partiko offers it for free. Partiko indeed is a good community project who places the growth of #steem at heart. ii. Support: Nothing wins the heart of man knowing fully well that when they have challenges, there is a team out there who can get it sorted out for them. 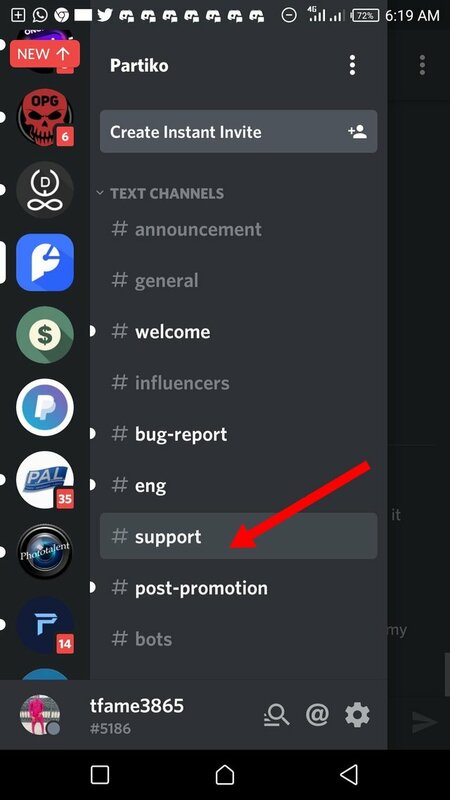 The #partiko team provides customers service in their #Discord group channel which can get your partiko related issues sorted out. iii. Partiko messaging app: This is one of the selling points for #Partiko dapp. 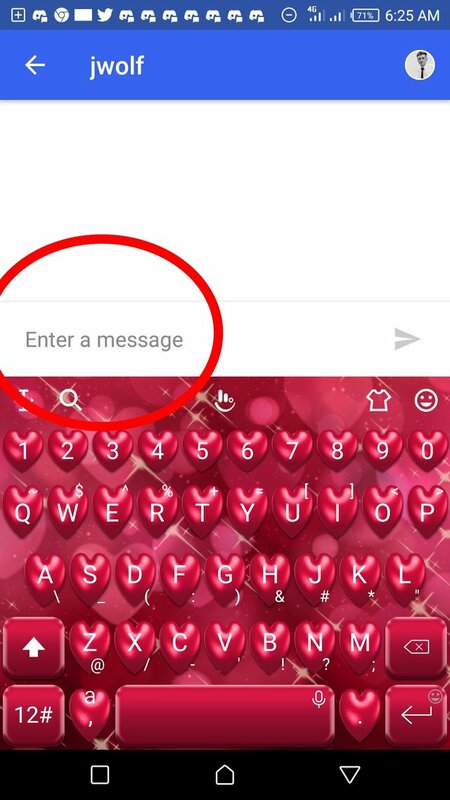 With this, you can do the normal things you do with your normal #messaging app i.e you can chat with another user privately. In a situation were the user is not using #Partiko dapp, partiko ensures that the chat message is dropped as comment for the person you wanted to chat, so they can easily spot it. iv. Notifications: Partiko just knows the best way to always dish out a killer package. 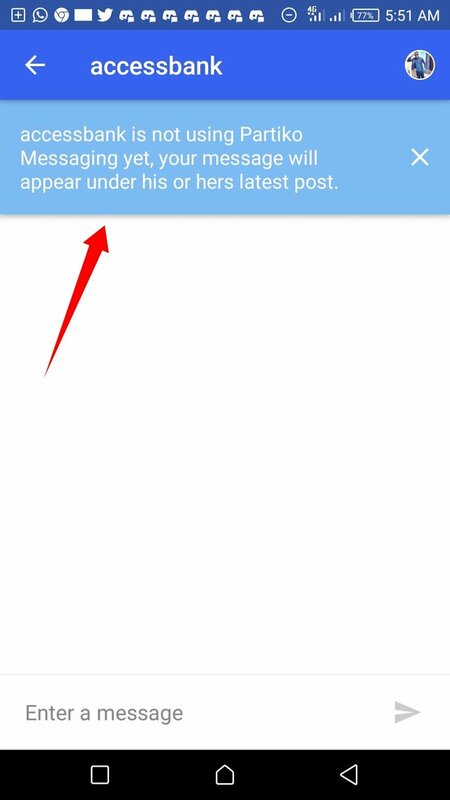 With this, you can get notified about anything happening in your feed. 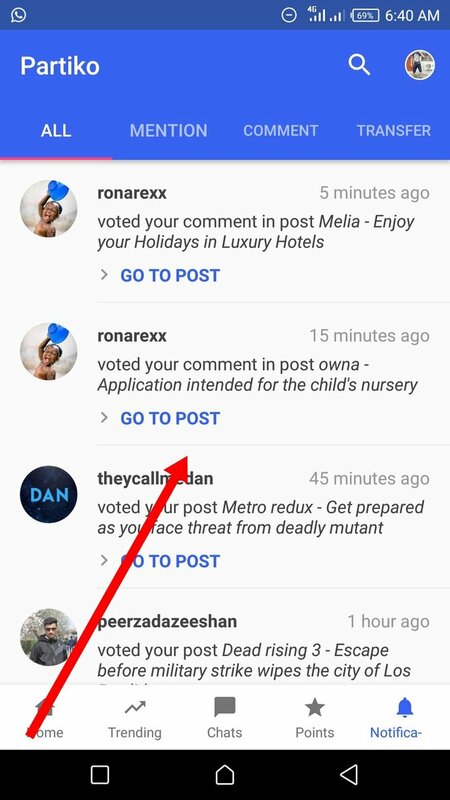 If your post has been voted, or someone comments, or mention your name and so many more, you will surely get notified. v. Search tool: If you are still not satisfied, the search tool is another winning formula. #partiko makes sure that this is an advance search tool that guaranties you of maximum search result. You can conduct a thorough search on people, posts, topics, and articles directly. vii. Leaderboard/Partiko point: I used to see this features on games. It makes the game more competitive and fun. Now with it running in the partiko dapp, that is a plus. This will help to bring more engagement to the #partiko dapp. No wonder is waxing stronger in the state of the dapps list. 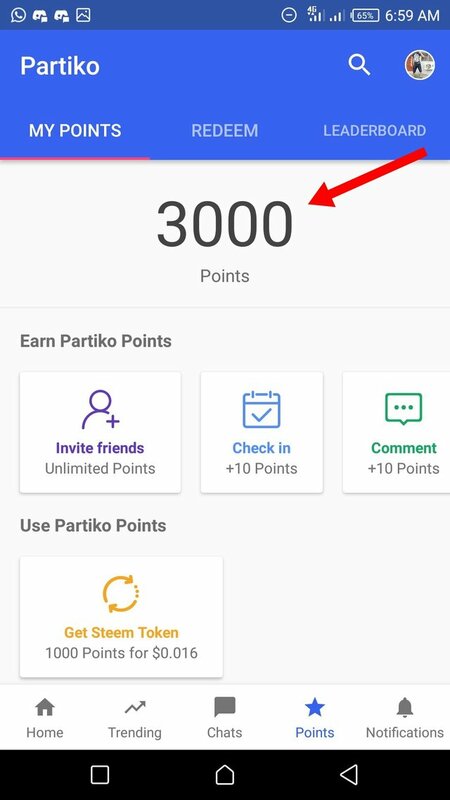 While engaging with the #partiko dapp, like commenting, posting, resteeming and upvoting, #partiko ensures that there is #Partiko points which is given for such activities. With this points, it can be exchanged for an upvote. I believe #partiko point might hit exchange soon. N:B: Leaderboard shows the top 20 contenders in terms of comments, posting, resteeming, and upvoting. Partiko ensures that your engagement is not in vain that is why they introduce the partiko point. With this point, you can trade it for an upvote which can be cashed out as steem or sbd after 7 days. This simply means the more partiko point you attain, the more upvote worth. N:B: If you don't post through #Partiko dapp, you won't get an upvote with your Partiko point. So make use of the dapp for good outcome. 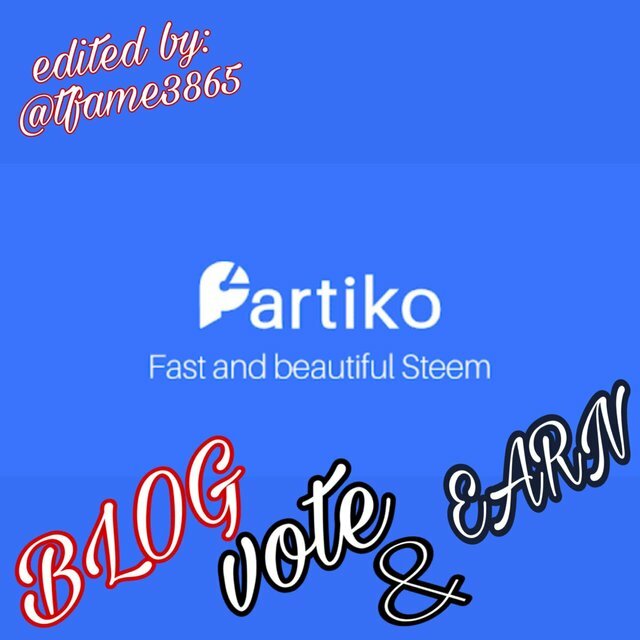 For you to enjoy the cool features that #Partiko offers, you have to first of all register on the steem blockchain. You can do that by visiting steemit.com, at the top right-hand corner, click it and click sign up. Wait for your keys which might take days or weeks. Now click Login and input your master keys and username. It will log you in, set up your profile, and start blogging with it. Deploying a strategy for your app to be used is not that easy. For sure, all companies or platform wants their product to keep trending. In spite of the different decentralized dapps out there, #Partiko curb out a way to get their app trending. They ensure that they introduced the #Leadersboard and the Partiko point. This is one big selling point for partiko. With this option, a lot will want to engage with the #partiko app knowing fully well they are going to earn point which they can trade for upvote. 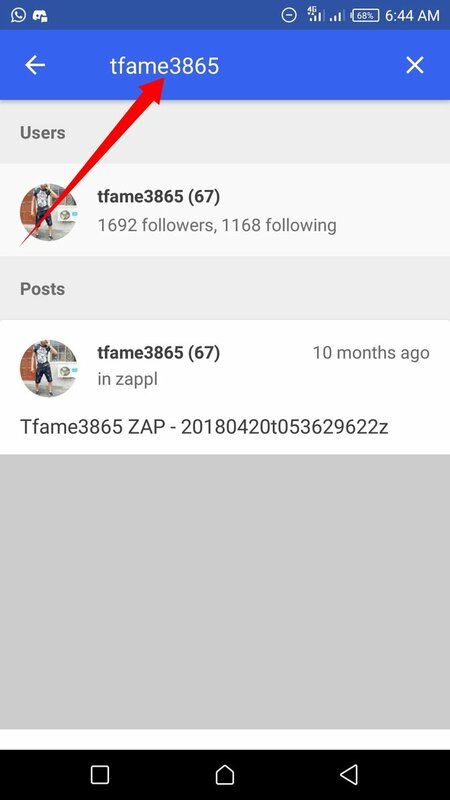 The advance search tools that #partiko offers can't be matched by any dapp of recent. This search tool ensures that you can conduct a thorough search on people, posts, topics, and articles directly. Lastly, you can use the #Partiko dapp as a messaging app. Extent your fun as you blog along. Feels free to chat anybody using the partiko dapp as well. N:B: With your big #partiko point, you can see your name on the top 20 Leaders list. This paves way for more engagement. Nearly all system has one or two side issues. The only issue am experiencing with #Partiko right now is the referral system, mine is not reflecting. I have notified them in their discord channel and I hope to get a positive reply soon. From the above, it can be deducted that Partiko has proven to be a great decentralize steem dapps. 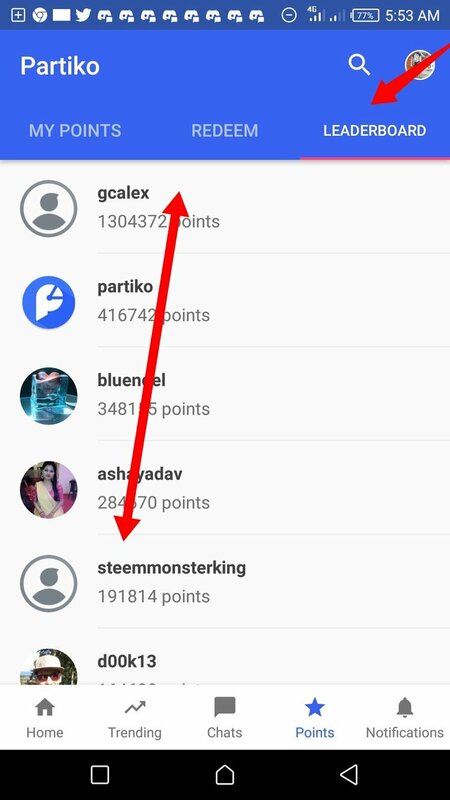 With the pace they are boiling with who knows, they might top steemit in the state of the dapps list. I will give this great dapp 4/5 for such a great service. Thank for so much for putting this together!